Do anda Want Sea-Salt Ice Cream To Actually Be In Ice Cream Trucks And Stuff? Have anda pre-ordered Kingdom Hearts 358/2 Days? who's ur fave from organization xiii??? pilihan peminat: No I made it all up. Go back to bed. How do anda beat hari 99??? ?lvl 2 just got game two days ago. 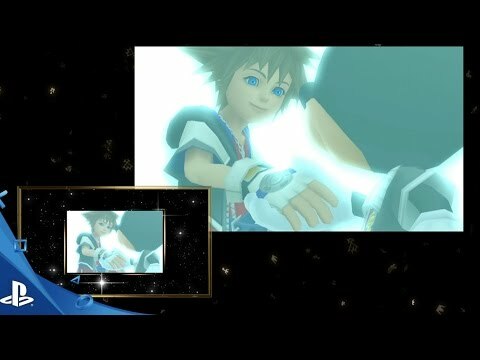 which is better xionxroxas atau naminexroxas? I wanna know, all my fello KH lovers, If anda could come up with a concept for a keyblade, what would it look like? Describe it, atau download the art. danka. I REALLY HOPE ALL OF anda ENJOY THIS THIS IS REALLY COOL AND BIG BIG NEWS AND IM soOOOOOOOOOOOOOOOOOOOOOOOOOOOO HYPER!!! Hello, I am KingdomHeartsNR here with the Inside OUTSIDE NEWS!!! Today's first topic: Xion. I have scavenged almost every possible website, memorized the games story line (even though I don't have it atau a DS), and searched for promising pictures. Xion is the fourteenth member of Organization XIII, to appear in the upcoming game Kingdom Hearts 358/2 Days. At the Square-Enix press conference DK∑3713, she was revealed in a trailer to wield the Kingdom Key and to have connections to both Naminé and Kairi. The first Kingdom Hearts 358/2 Days trailer with English subtitles. a comment was made to the poll: Do anda Want Sea-Salt Ice Cream To Actually Be In Ice Cream Trucks And Stuff? a comment was made to the poll: Have anda pre-ordered Kingdom Hearts 358/2 Days? a comment was made to the poll: What is Your kegemaran Cut Scene? a comment was made to the poll: Which Organization XII member do anda HATE the most? Who went with anda during the first mission in the game?